improve the operation efficiency of coal-fired industrial boilers by 6% as well as saving 40 million tons of standard coal. This project will push the nationwide coal-fired boiler renovation, small boiler elimination and boiler comprehensive administration to a new climax, and at the same time, it will further foster the rapid development of boilers, biomass energy and other environmentally friendly heating technology sectors. HEATEC, the Shanghai International Exhibition on Heating and Heat Power Technology, is the bridging platform of this unique market opportunity and was held on October 14-16, 2015 in Shanghai. 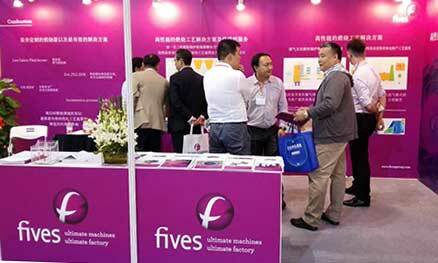 Fives grabbed the opportunity to enlarge his marketing impact on Chinese energy market and introduced its pioneering solutions for coal including Pillard LoNOxFlam Ci and Pillard Dosing system, as well as energy-efficient Pillard NaNOxFlam gas burner to reduce NOx emission, while keeping high combustion efficiency. With his dedicated team, professional service and custom-made equipment, Fives provide solutions to meet customers’ needs and expectations worldwide.